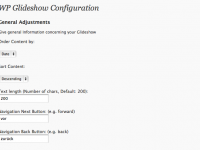 WP-Glideshow now comes with new, even better features! Feature as many posts/pages as you like on any static page you wish. Optionally add an image to every post or page! Order your posts/pages by date or title! Choose from many styling options. 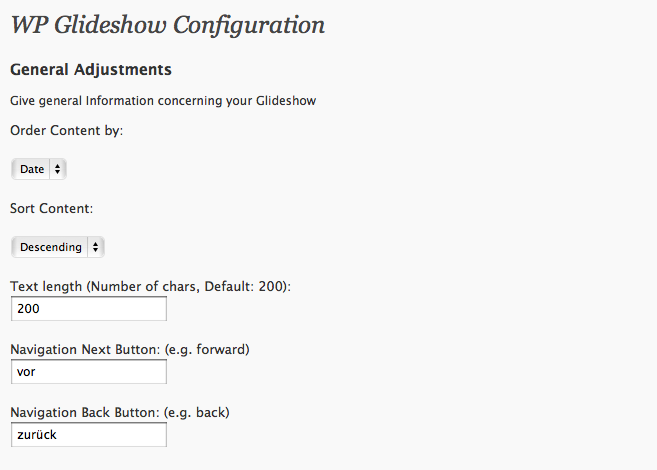 Set duration of the slide and choose an effect for the Slideshow! 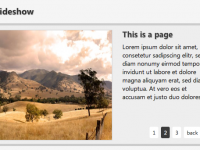 Now including automatic image-resizing with wordpress built-in feature. Hi, your plug-in is awesome but I’m having one problem with the slideshow excerpt. It wont display more than 200 characters no matter what I change it too. 1. Is there a way to view the text from posts with formatting (I want the paragraphs to remain on separate lines)? 2. Is it possible to view post titles instead of numbers (1, 2, 3, etc.) in the navigation? Hi, super slideshow, danke für diese plugin! Leider habe ich ein problem. Ich benutze arras als theme. Die slideshow funktioniert perfekt in firefox und chrome. Allerdings leider nicht in IE8 oder IE9. Mir wird zwar der thumbnail angezeigt aber der exerpt text fehlt komplett. Habt ihr zufällig eine lösung für dieses problem? tolles plugin. wie kann ich den slider auf einer statischen startseite nach einem text platzieren? bisher erscheint er immer zum anfang. Excellent slider, easy to use and easy to install. Just one thing – is there a way to limit the number of recent posts (i.e. the last 5)? Is there code that can be inserted/adjusted? 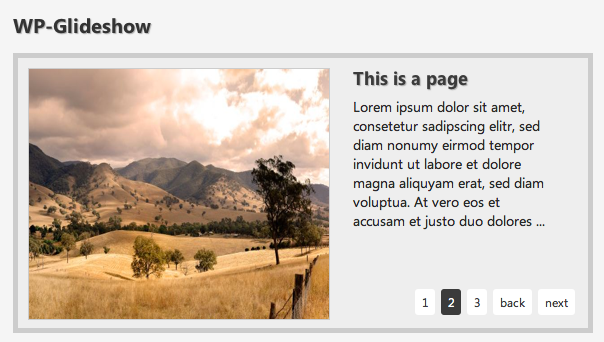 very nice plugin.. I’m using it in my site. Otherwise I have an issue with WPML plugin. I use glideshow plugin to show some featured posts (only thumbnail + link) in my homepage, but can’t figure out how to show posts according to current language..
Posts are the same but permalinks are the same for all lenguage..
Amazing Plug-in I am currently using it. I would love to know if there is a way to limit the number of posts or to expire posts from the Slideshow. This would really help in Automating site that we create!